New FAUX LEATHER ideas. Great for adding to art projects. 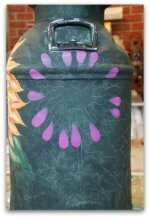 Interested in creating faux leather? 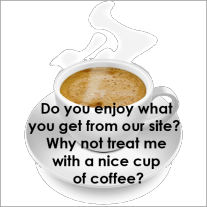 This page will show you how. 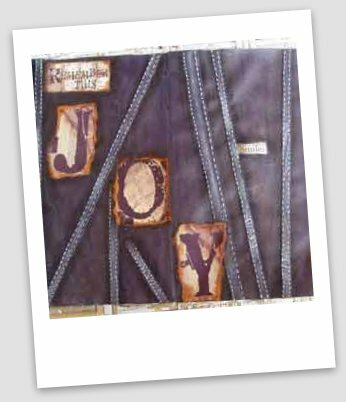 These are some ideas that could be used in altered art, mixed media, scrapbooking, decorative painting. You name it, when it comes to fake leather as it is sometimes called, there are many uses! The Polaroid on the left shows pages from one of Cheryl's altered books. 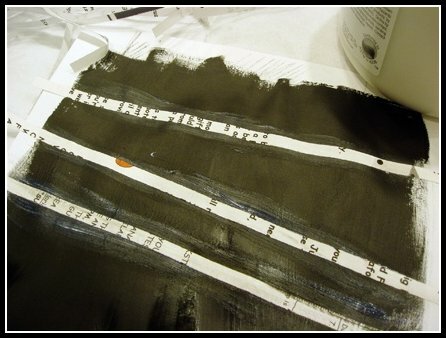 This first leather technique was developed while working on an altered book project. 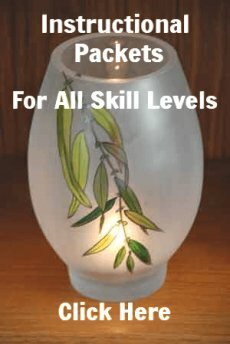 Here are the step by step instructions for you to experiment with. Feel free to try other color combinations for different effects. Here we used a sheet of white 80lb bond paper; office paper. You could also do this inside the pages of an old book or in a journal. 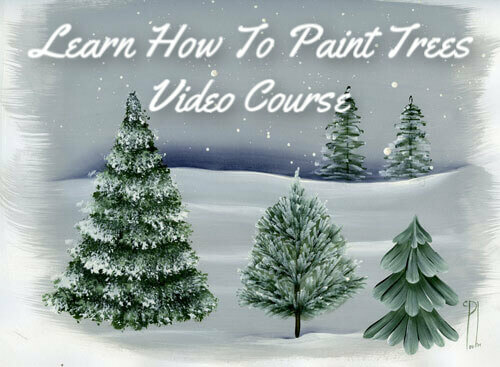 With a large flat dampened brush, apply a coat of black gesso or black acrylic paint to cover completely. Use a hair dryer if you want the paper to dry quickly. Or just leave to air dry. The paper will buckle a bit as it dries. This is good. Next, rummage around your paper shredder for long 1/4-inch wide strips of paper. Or simply cut some up by hand. Glue them onto your paper so as to suggest seams. 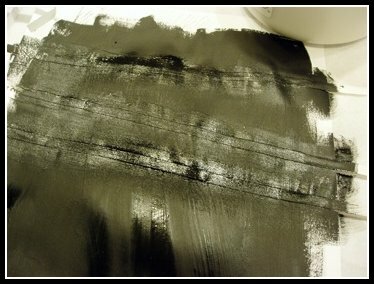 Let dry and then paint them over black, as shown in the image below. 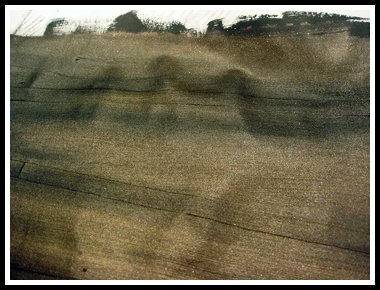 To create a soft leathery sheen,mix equal parts of Micaceous Iron Oxide and Interference Orange. 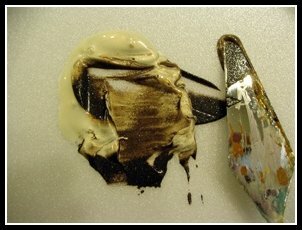 We used Golden brand liquid acrylics. Apply all over the black to cover completely. Allow to dry. Notice the velvety smooth appearance? This is EXPENSIVE faux leather! 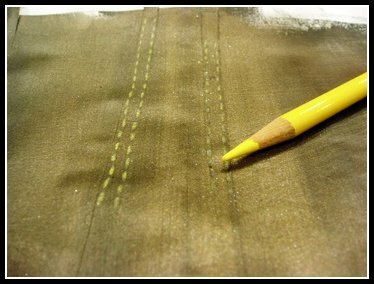 Using a Yellow colored pencil draw some lines on both edges of the strips to suggest stitches. 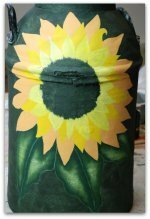 Alternatively, use yellow acrylic paint on a liner brush and paint the stitches on. This leather is starting to smell like the real thing! And to add authenticity to this fake leather, just a few more steps. 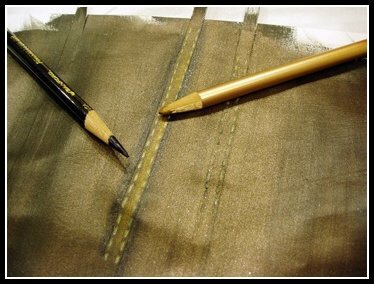 Use a Payne's Grey colored pencil to shade both sides of the seams. 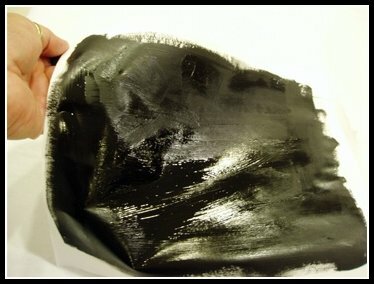 Or use a #12-Flat brush to float a shade using Payne's Grey. Then, add a highlight randomly between the stitches with metallic gold pencil or paint. Let's leave Faux Leather and go to Faux Painting Ideas.